Later this month, Alan Tudyk may have one of the breakout roles in Rogue One: A Star Wars Story, but you probably won’t even see his face in the movie! Tudyk is lending his voice to K-2SO, an Imperial droid who plays a pivotal part in the story. It’s far from the first time that Tudyk has been cast for his voice, and it’s not even his first time playing a robot! Among genre fans, Tudyk has some of the best geek cred, after his stint on the beloved sci-fi series, Firefly, as well as his animated portrayals of Superman, The Flash, and Green Arrow, in addition to his numerous voiceovers for Disney’s recent animated films (including Moana‘s scene-stealing rooster Hei Hei). Next year, he’ll star on Powerless, a live-action sitcom set in the DC Universe. On top of everything else he’s doing, Tudyk also created, wrote, directed, and starred in Con Man, a comedic web series which was very loosely inspired by his life. Tudyk was already a popular guest on the convention circuit, but now he’s practically a legend! 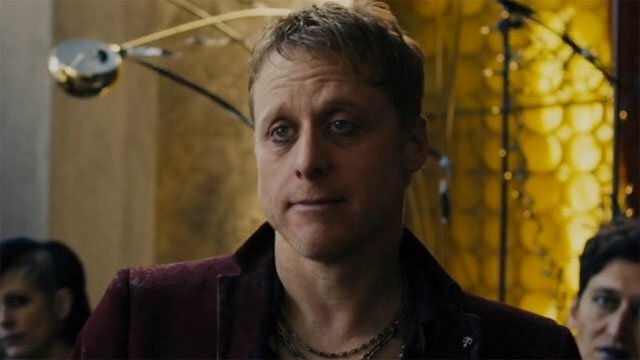 Ahead of Rogue One’s release on December 16, ComingSoon.net is taking a look back at ten of the most memorable Alan Tudyk movies and television roles to date. And we suspect that there are even bigger things are ahead for him! 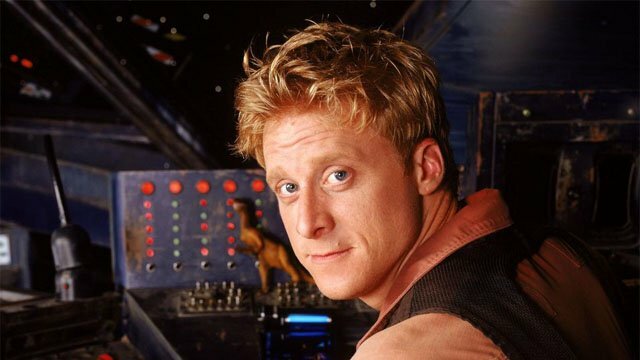 If Tudyk had only appeared in the single season of Joss Whedon’s space western, Firefly, then that would have been enough for a lifetime of comic cons. Just ask the cast of the original Battlestar Galactica! But even among a crew of outlaws and misfits, Tudyk’s Hoban “Wash” Washburne stood out as perhaps the most offbeat person on the ship… even more so than River! Wash was the pilot of the Serenity, and a brilliant one at that. But Wash also had his strange personality quirks that endeared him to the audience, as well as his cute romance and marriage with Zoe (Gina Torres). Even in the brief time that Firefly had on TV, Wash received enough character development to earn a fan following of his own. 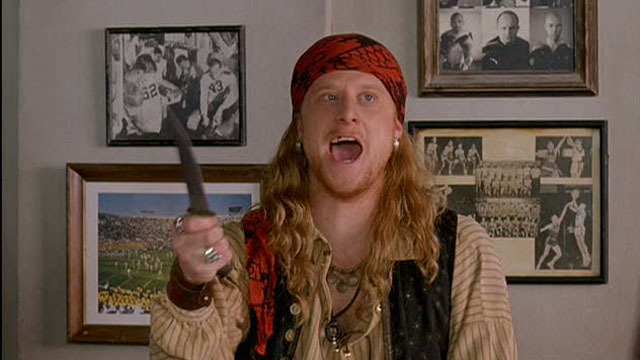 Shortly after Firefly came to an end, Tudyk landed one of his biggest cinematic roles up to that point as Steve “the Pirate” Cowan in DodgeBall: A True Underdog Story. Steve was on the same team with Pete LaFleur (Vince Vaughn) as they trained for a winner-take-all game of dodgeball to save their tiny gym from Ben Stiller’s White Goodman. DodgeBall turned out to be a surprise hit, and there’s still talk of a potential sequel 12 years later. 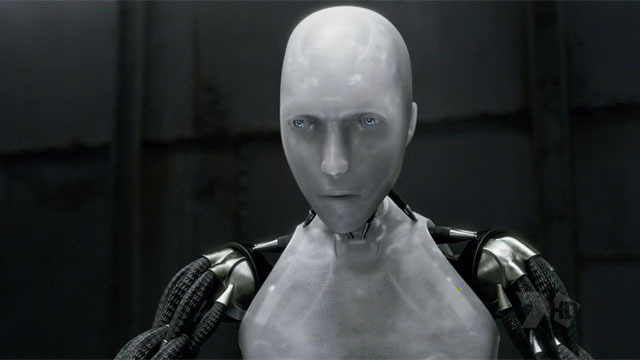 Aside from Will Smith, Alan Tudyk had arguably the most important role in I, Robot as Sonny, a robot who becomes the top suspect in a murder with wider implications for humans and robots alike. Thanks to Tudyk’s motion capture performance, Sonny even resembled Tudyk and shared some of his facial expressions. The film received a largely mixed reception, but it was one of the early big screen showcases of Tudyk’s talent. If you haven’t seen Serenity, then you don’t know how the words “I am a leaf on the wind, watch how I soar” can become so heartbreaking. 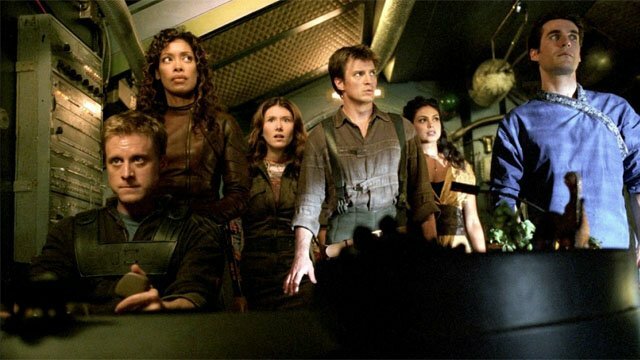 Three years after Firefly’s cancellation, Joss Whedon rounded up all of the major players to reprise their roles for Serenity. Tudyk had less to do in the film than he did on the series, but Wash had one of the movie’s signature lines and he was also one of the reasons that it resonated so powerfully. Because there was never a sequel to this film, Serenity is basically the series finale of Firefly. But the adventures of the crew continue in the comic book realm thanks to Dark Horse Comics! Nearly half a decade later, Whedon gave Tudyk a major villain role on Joss Whedon‘s Dollhouse as Alpha, the ultimate “Active” who retained the personalities and abilities of nearly 50 people. 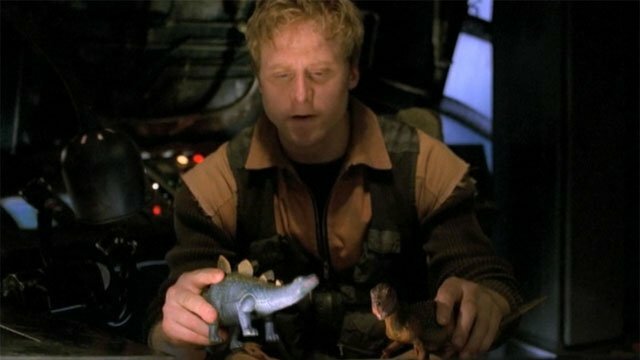 Most of Alpha’s machinations took place off screen, but Tudyk made him a riveting presence when he appeared on the show. Unfortunately, this was another short-lived TV series; which meant that Tudyk only made a few guest appearances before it came to an end. Tucker & Dale vs Evil is an underappreciated comedy/horror film which paired up Tyler Labine and Alan Tudyk as the title characters, respectively. Tucker and Dale were basically well-meaning hillbillies who inadvertently frightened a group of campers into accidentally killing themselves in some truly horrible ways. While Labine’s Tucker got the majority of the spotlight, this film was also a prime showcase for Tudyk’s comedic skills. If you have Netflix, it’s worth a watch! Among non-genre fans, Tudyk is probably best known for his three seasons on the sitcom, Suburgatory. He played Noah Werner, the best friend of Jeremy Sisto’s George Altman, who tried to help George assimilate into the suburbs as he had years earlier. Tudyk was one of the leading co-stars of the first two seasons, before he was bumped down to recurring status in the third and final season. If you want to star in your own show, sometimes you have to make it yourself. 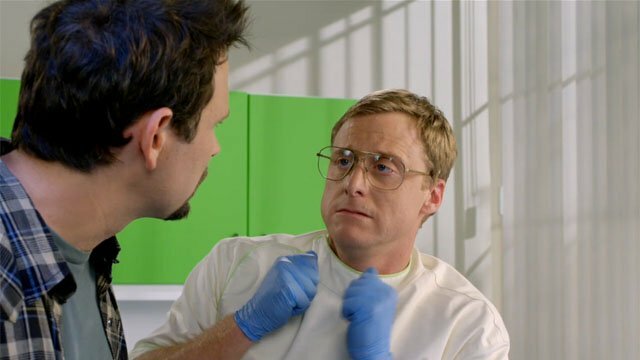 Tudyk took that approach to Con Man, a comedy web series that he created and wrote for himself. In the show, he plays Wray Nerely, an actor who was best known for starring in a beloved sci-fi series for a single season. Write what you know, right? Con Man was crowdfunded, and the first season turned out to be very entertaining. Tudyk was joined by his former Firefly co-star, Nathan Fillion, as well as Mindy Sterling, and a recurring cast of convention favorites. There’s actually a second season of Con Man coming soon, but there’s currently no confirmation about a third season. If you don’t want any Rogue One spoilers whatsover then you should go ahead and skip this part. However, we’re only going to go over what we currently know about Tudyk’s role in the movie. Tudyk is once again playing a robot in this film, as the Imperial enforcer droid known as K-2SO. The twist is that he’s on the side of the Rebels, because Cassian Andor (Diego Luna) wiped his memory and reprogrammed him. 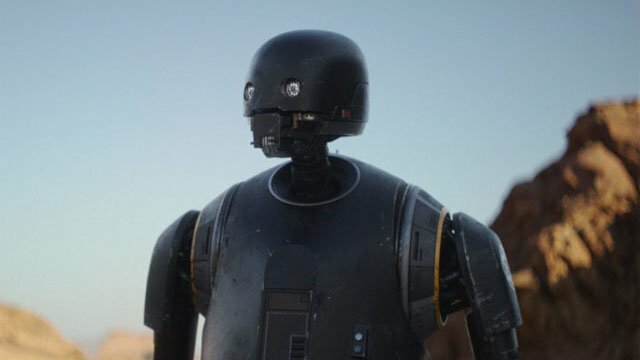 Somehow, we suspect that fans are gonna love K-2SO, but we’re not sure if any of his original programming will come back to haunt him before the end of Rogue One. We’ll find out in just a few weeks!